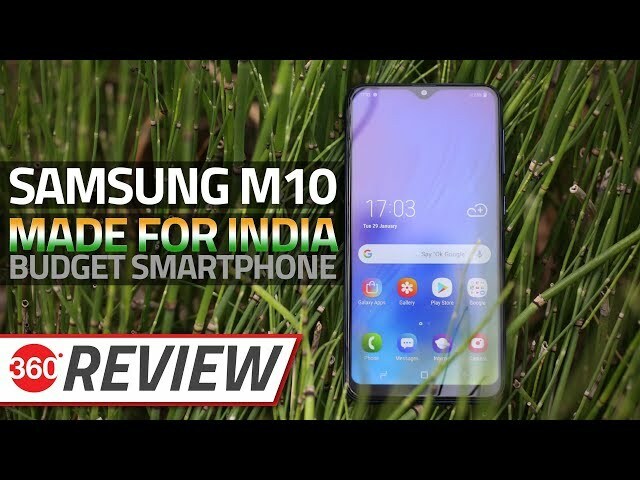 Samsung Galaxy M20, Galaxy M10 price in India now official as the Galaxy M Series debuts in the country, Redmi Note 7 Pro leaks and Redmi Go announced, and a new variant of Nokia 8.1 were some of biggest stories of the week. Additionally, several new WhatsApp features, an Apple FaceTime bug, Facebook’s controversial research app, and TRAI’s new pricing framework for DTH connections dominated the headlines. So let’s dive into the major newsmakers of this week. After weeks of leaks, teasers and anticipation, South Korean tech giant Samsung’s India-first Galaxy M-series made its official debut on Monday. To start with, the company has announced two models — Samsung Galaxy M10 and Galaxy M20, which are all set to go on sale beginning February 5 in the country via Amazon India and Samsung’s own store. The Samsung Galaxy M10 has been priced starting Rs. 7,990, whereas the Samsung M20 will retail starting Rs. 10,990. Both smartphones run on Android 8.1 Oreo with Samsung’s custom skin on top and come with Infinity-V displays as well as dual rear cameras. In our review of the Samsung Galaxy M10, we found the phone to have a number of things going for it, but it was far from a perfect smartphone. We liked the phone’s modern design and great battery life, however the underwhelming overall performance of the phone and average camera were two major letdowns. The dated processor of the Galaxy M10 meant we faced considerable delays, even with most basic functions like opening the camera app. The Samsung M20 fared much better in our review and the phone’s 4GB RAM + 64GB inbuilt storage model performed up to expectations and there are no visible lag during the day-to-day usage. It also packs a modern design, similar to the Galaxy M10, which looks decent. The display and the battery life of the Samsung M20 also performed admirably, however the camera was underwhelming in this Galaxy M-series phone as well. In order to keep the prices of these phones competitive, the company has clearly cut some corners. Still, the brand power of the company is likely to help these phones a lot. 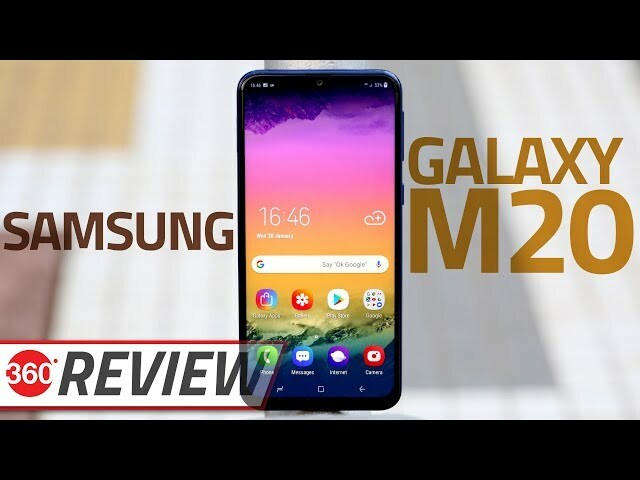 In other Galaxy M-series news, Samsung is continuing to give the final touches to the Galaxy M10 and Galaxy M20 smartphones. The company this week released the first software updates for the phones, which are likely to pop up on the consumers versions of the phones as soon as the buyers connect their smartphones to the Internet. The update were minor and mainly included bug fixes and performance enhancements for the Samsung M20 and Galaxy M10. Apart from a brief tease during the Redmi Note 7 announcement, the Redmi Note 7 Pro hasn’t seen much in terms of the official information, but that hasn’t stopped the company executives from hinting at it every other day on Weibo. Earlier this week, the Xiaomi CEO Lei Jun teased at the possibility of a 6GB RAM and 128GB storage variant of the Redmi Note 7 Pro. While he didn’t explicitly say that the phone is going to get a 6GB RAM variant, his subtle indication was enough to get the fans talking. As per the information available so far, the Redmi Note 7 Pro will be a variant of the Redmi Note 7. It will likely to keep some specifications common with the Redmi Note 7, but others will be upgraded. In other Redmi news, the company officially announced the Redmi Go smartphone. Redmi, which is now a sub-brand of Xiaomi, did not share all the details, but it did reveal that the phone sports a 5-inch HD screen and an unnamed quad-core Qualcomm Snapdragon processor. Additionally, the phone packs a 3,000mAh battery, 8-megapixel rear camera with LED flash, and 5-megapixel front shooter. The picture shared by the company did indicate at the presence of Android Go software, and the same has been confirmed by a German website WinFuture. The leaked specifications shared by the website note that Redmi Go will feature 1GB of RAM, 8GB of inbuilt storage, a microSD card slot, and dual-SIM support. As per a pre-order listing on Lazada’s Filipino website, the phone will carry a price-tag of PHP 3,990 (roughly Rs. 5,433). There is no word on the India release of the phone right now, but it is highly likely that we will see the launch of the phone in the country. Further, Donovan Sung, who is the global spokesperson of Xiaomi, teased the international launch of the Redmi Note 7 this week. 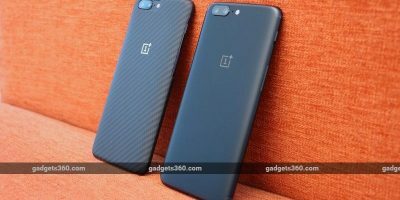 The company’s India head Manu Kumar Jain has already indicated that the phone is coming to India soon. There is no concrete date though. HMD Global, the Nokia-brand licensee, expanded its portfolio in the country this week with the introduction of a new variant of the Nokia 8.1 smartphone. The new 6GB RAM/ 128GB storage variant joins the already available 4GB RAM/ 64GB storage version in the country. The new variant has been priced at Rs. 29,999 and will be available beginning next week. The pre-bookings are already live. Apart from the increased memory and storage, the two variants are identical. Other specifications of the Nokia 8.1 include a 6.18-inch full-HD+ (1080×2244 pixels) display with a 18.7:9 aspect ratio, octa-core Qualcomm Snapdragon 710 SoC clocked up to 2.2GHz, and a dual rear camera setup with Zeiss optics. Apart from launching a new version of Nokia 8.1, HMD Global announced price cuts for its Nokia 6.1and Nokia 3.1 phones. The Nokia 3.1, which was until recently selling for Rs. 10,999, is now available at just Rs. 8,999. On the other hand, the Nokia 6.1 now starts at Rs. 11,999 (for the 3GB RAM version), down from Rs. 13,499. The 4GB RAM version of the phone is now being offered at Rs. 13,999, down from Rs. 16,499. 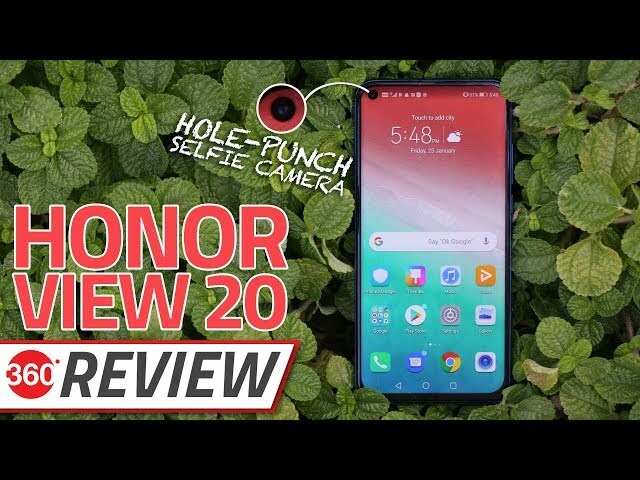 Honor India unveiled the Honor View 20 in the country this week. The phone is now on sale via Amazon India and HiHonor store and carries a price-tag of Rs. 37,999 for the 6GB RAM variant, whereas the 8GB RAM version has been priced at Rs. 45,999. The international variant of the company’s Honor V20smartphone, the View 20 packs a 6.40-inch full-HD+ screen and it is powered by octa-core Kirin 980 processor. Other specifications of the phone include a dual camera setup on the back with a 48-megapixel primary sensor and a secondary 3D ToF sensor. There is 128GB or 256GB of inbuilt storage and the usual set of connectivity options. n our review, we found the phone to be a very capable device with a powerful processor, modern design, and good battery life. The phone’s software may irk some because of the bloat and the phone offers an inconsistent face recognition. Joining HMD Global, Taiwanese manufacturer Asus also announced a new variant of its ZenFone Max Pro M2 smartphone. Dubbed as the Titanium Edition, the new version of the phone carries the same specifications as the original version and the same price. The only change is the new colour option. The Asus ZenFone Max Pro M2 Titanium Edition is already on sale in the country and can now be grabbed from the likes of Flipkart. After keeping quiet for a couple of months, Lava is back with a brand new smartphone. The company earlier this week launched the Lava Z92 smartphone with a display notch. The smartphone has been priced at Rs. 9,999 and succeeds the Lava Z91, which was introduced last year. The new phone features a 6.22-inch HD+ screen and is powered by 2.0GHz MediaTek Helio P22 octa-core SoC. The Lava Z92 also comes with a 13-megapixel rear camera and an 8-memgapixel front shooter. Huawei also unveiled its Y6 Pro phone in Sri Lanka recently. The phone sports a Dewdrop notch screen of 6.09-inch. It packs 3GB of RAM, 32GB of internal storage, and a 13-megapixel rear camera. There is no word on the pricing of the phone or when it will be released in markets like India. In other smartphone-related news, Chinese smartphone maker Vivo is expected to launch its V15 Pro smartphone with a pop-up selfie camera in India later this month. The company has already sent out invites for an event on February 20. The company also reduced the price of two of its smartphones – Vivo V11 and Vivo V11 Pro – this week. Apart from Vivo, Oppo has also issued a price cut for its Oppo A7phone. The Chinese smartphone maker is also likely to release a new phone called Oppo K1 next week in the country. Samsung’s first foldable may have been spotted in a leaked promotional video of the phone. The authenticity of the video was unclear, but it did seem like an official video. Still, it is a mystery whether the phone shown in the video was a concept or an actual device that we might see at the company’s Unpacked event later this month. Moving on to the non-smartphone launches in the country this week, Asus released its ZenBook 15 UX533, ZenBook 14 UX433, and ZenBook 13 UX333 laptops in the country. The company claims that these are the “world’s smallest” laptops. Powered by Intel’s 8th-gen Core CPUs, the Asus laptops include up to NVIDIA GeForce GTX 1050 Max-Q graphics, and 8GB or 16GB RAM. Additionally, the laptops feature full-HD “NanoEdge” displays that have ultra-narrow frame bezels. The laptops start at Rs. 71,990 and go up to Rs. 1,39,900.
iBall too introduced a new laptop in the country earlier this week in the form of CompBook Netizen. The laptop has been priced at a maximum retail price of Rs. 24,999, but is listed on Shopclues for an introductory price of just Rs. 19,999. The iBall CompBook Netizen runs on Windows 10 and comes with a 14-inch FHD IPS multi-touch screen. It is powered by the 2.4GHz Intel N3350 dual-core processor, and packs 4GB DDR3 RAM, inbuilt storage of 64GB with the option to expand it using a microSD card slot or via a hard disk or SSD (up to 7mm). Further, Swedish headphone manufacturer Jays has brought its Jays a-Seven headphones to the Indian stores. 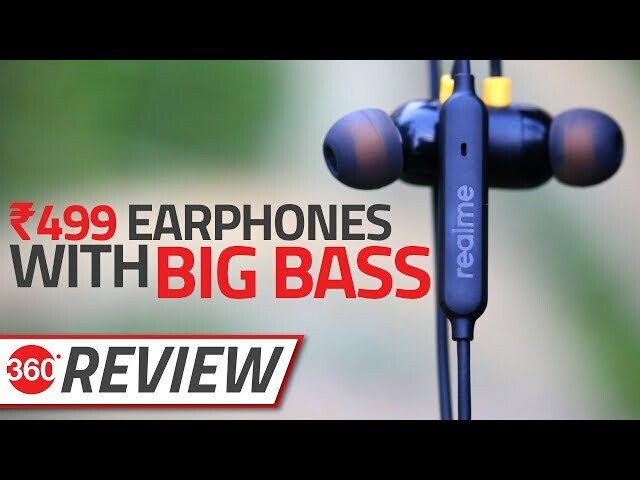 The headphones carry a price-tag of Rs. 7,999 and come with the option of both Bluetooth and wired connectivity. Additionally, GOQii has launched its RunGPS Smart Band at Rs. 4,999. Next up is telecom news, which was mostly dominated by Vodafone and TRAI the past week. The telecom operator introduced the new Rs. 1,699 and Rs. 154 prepaid recharge plans and brought backthe Rs. 50, Rs. 100. and Rs. 500 recharge plans. The Rs. 1,699 recharge plan brings unlimited local, STD, and roaming calls within India alongside 1GB 4G/ 3G data per day. The new recharge option also includes 100 SMS messages per day as well as access to the Vodafone Play app. The Rs. 154 recharge option, on the other hand, comes as a plan voucher to offer a validity of 180 days. It provides 600 local on-net minutes for voice calling. Lastly, the Rs. 50 recharge plan brings Rs. 39.37 of talk time and has outgoing validity of 28 days, the Rs. 100 recharge plan offers a full time of Rs. 100 and comes with an outgoing validity of 28 days, and the Rs. 500 recharge plan has 84 days of validity with full talk time benefits. TRAI’s new DTH norms finally came into effect on February 1. As per these norms, the DTH customers have to migrate to new packs and the base pack without any paid channels will cost just Rs. 130 (Rs. 153.40 after taxes). If a consumer adds any paid channels, they will have to pay the price of that channel. We had published a handy guide earlier this week that should help you move to the new framework. Coming to WhatsApp/ Facebook news, the Menlo-park-based company continues to make the news for all the wrong reasons. Earlier this week, it was reported that Facebook was paying teens and adults to track their online activity by installing an app called Facebook Research on their smartphone. 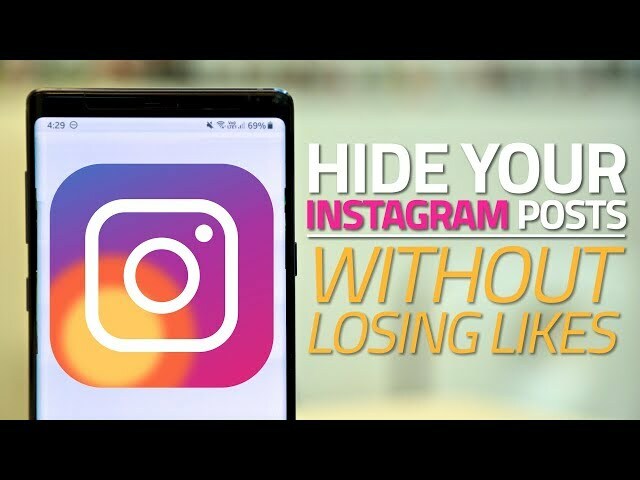 The company acknowledged the existence of the app and promised to stop offering it, but not before Appleblocked it from iOS and even removed Facebook’s privileges to test internal apps on its platform. The ban was, however, lifted within 24 hours. In his Q4 earning call, Mark Zuckerberg revealed that WhatsApp Payments will be expanded to more markets this year. Although India is still waiting for a full rollout because of regulatory hurdles, the social giant is decided to start focussing on other countries. Zuckerberg also noted that the unified Messenger, Instagram and WhatsApp messaging platform won’t be arriving any time soon. The latest we can expect it is 2020. Further, he announced that Facebook now has 2.32 billion monthly active users, of which 1.52 billion check the social network on a daily basis. This week, WhatsApp also expanded the picture-in-picture (PiP) mode in Web version with support for YouTube, Instagram, and other online video links. Earlier, PiP only supported the videos shared on the platform. Additionally, the chat app is all set to get simplified media menu, single sticker download support and other features in the upcoming updates. The pop culture and entertainment news arena was slightly quieter this week. Aquaman, however, continued to make a splash and the film became the highest-grossing DC movie of all time. It surpassed Christopher Nolan-directed The Dark Knight Rises to achieve the milestone. The worldwide gross of the film is now over $1.09 billion (roughly Rs. 7,747.17 crores). Aquaman’s commercial success has been more lopsided towards international markets than ever before. Of the $1.09 billion total, Aquaman earned a staggering 71 percent — $774.2 million (roughly Rs. 5,501.85 crores) — outside its domestic market of the US. It was revealed this week that Dwyane ‘The Rock’ Johnson won’t be a part of the Fast and Furious 9 movie. He is still set to appear in the spin-off Fast & Furious Presents: Hobbs & Shaw later this year. The Rock could potentially return for Fast and Furious 10, currently slated to be the final entry in the franchise though, he told in an interview. Apple’s much awaited video streaming service may arrive in April 2019, a report stated. It is said that Apple will roll out its platform and the first slate of its original shows “within several weeks” of mid-April. The exact details of the service continue to remain a mystery. Apple has nearly two dozen original TV series in the works for this service, from talents such as J.J. Abrams, Reese Witherspoon, Damien Chazelle, Kumail Nanjiani, M. Night Shyamalan, Simon Kinberg, David S. Goyer, Ronald D. Moore, Steven Knight, Jennifer Garner, Adam Horowitz and Edward Kitsis. Fortnite’s mobile versions received an update this week. The Fortnite 7.30 update included controllers for Fortnite Android and iOS, 60Hz on select Android smartphones and the Solid Gold Limited Time Mode (LTM). On the other hand, the PUBG Mobile Zombies mode is rumoured to be arriving next month with the 0.11.0 update. Nintendo Switch too got an update in the form of the version 7.0.0. The update adds system stability improvements to the hybrid console as well as New Super Mario Bros. U Deluxe user icons and support for additional languages on the Nintendo Switch’s Home Menu. Moving on to other major tech news titbits, Google CEO Sundar Pichai has confirmed that this year’s Google I/O developer conference will take place between May 7 and May 9. The company is expected to preview Android Q at the event as well as offer a glimpse at developments in other Google products. Reliance Jio released an app called JioRail this week, which allows the Jio Phone and Jio Phone 2 users to book train tickets, cancel ticket, check PNR status, and more. Further, Google+ is now scheduled to shut down on April 2. Google has started sending out emails to Google+ notifying of the platform’s upcoming demise. Paytm on Wednesday launched domestic hotel books and announced the acquisition of Nightstay, a luxury hotel-booking platform. NightStay’s Nasr Khan will lead the hotel bookings venture at Paytm. Indian government’s revised e-commerce norms also went into effect this week and the effects were felt by the likes of Amazon. Flipkart seemed prepared for the change, but Amazon looked slightly panicked and for a brief period many of Amazon’s Echo products were unavailable for purchase on the website. While the Echo devices may be back, the AmazonBasics products still continue to remain unavailable.